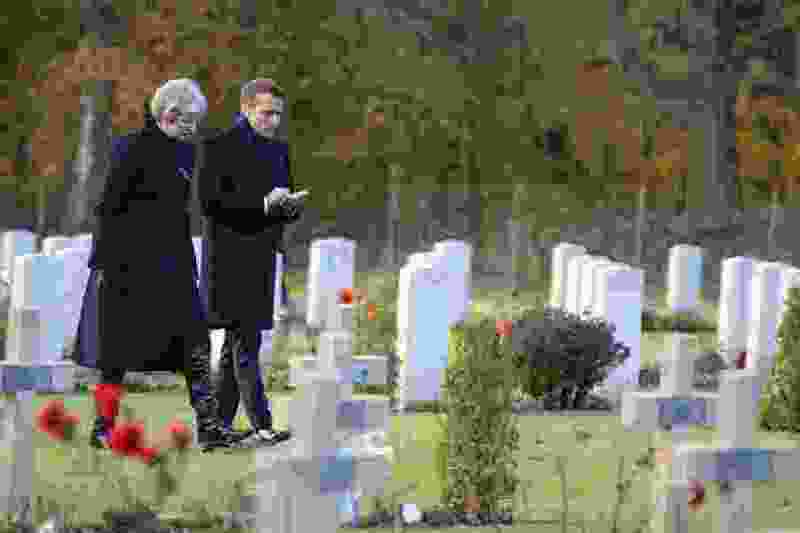 (Eliot Blondet/Pool Photo via AP) British Prime Minister Theresa May and French President Emmanuel Macron visit the Thiepval cemetery as part of ceremonies to mark the centenary of the 1918 Armistice, in Thiepval, northern France, Friday, Nov. 9, 2018. The memorial commemorates more than 72,000 men of British and South African forces who died in the Somme offensive of 1916. Thousands of those young men grew up here in this nation. They went to school. They played stickball in our city streets and they learned to set their sights as high as the torch above the Statue of Liberty that had greeted their parents years before in the New York harbor. And they went back to fight in the fields of France and Flanders where their parents had come from, and they died and were buried over there, and their working-class parents had no way of even visiting their graves. Just think about that for a minute. They gave their lives for the liberty prized by their immigrant parents, immigrants like three of my four grandparents and, I imagine, many of your ancestors as well. Is it any wonder that so many people, under attack in their own Central American countries, countries where people have little to no rights at all, want to raise their children in the United States of America? A social media post, posted by the shooter just moments before the slaughter of 12 Jewish worshipers in a synagogue in Pittsburgh, suggests that the U.S. president’s lies, saying the “caravan” approaching our southern border was full of “criminals and unknown Middle Easterners,” inspired the murderer. 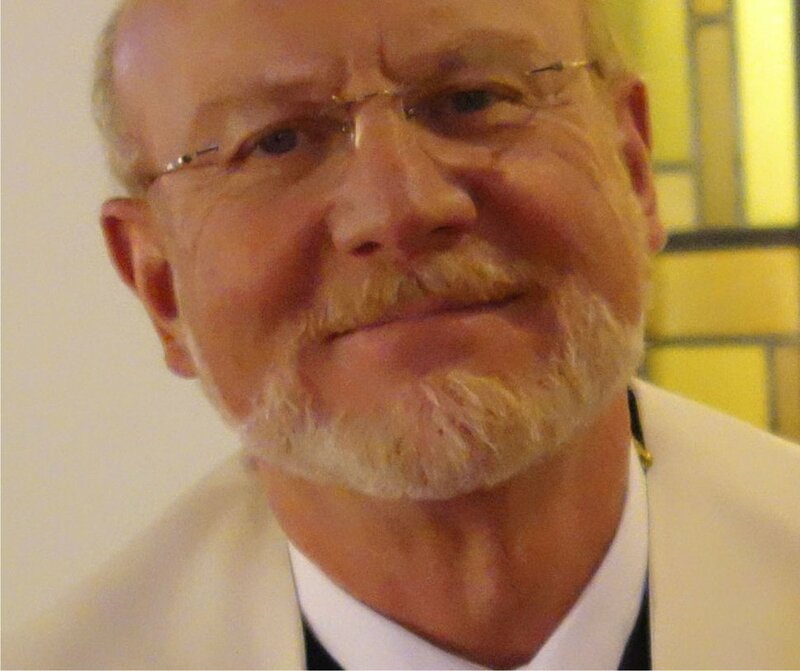 I wouldn’t have mentioned such a fact, depressing as it is, except for the additional fact that a man named Ari Mahler, a nurse and the son of a rabbi, got down on the floor and gave professional and personal care to the downed shooter. There are people in this nation like Mr. Mahler (the most unlikely people) who know our true story and repudiate all the false narratives du jour being propounded to scare people into supporting repressive and draconian political policies. There are people in this country who (no matter their religious affiliation or lack of one) understand true Christian values, values that are tied entirely to the teachings of Jesus, teachings about love that is blind to artificial distinctions. Thank God for them and their compassionate instincts in the face of so much misguided hate. Maybe the best way to honor those who gave their lives in The Great War would be to redouble our efforts to learn about, and then live up to, the ideals they died for and that their parents brought them here to enjoy. We, the living, owe them that much, at least.